前往 Google reCAPTCHA 开启 reCAPTCHA 并 获取参数. 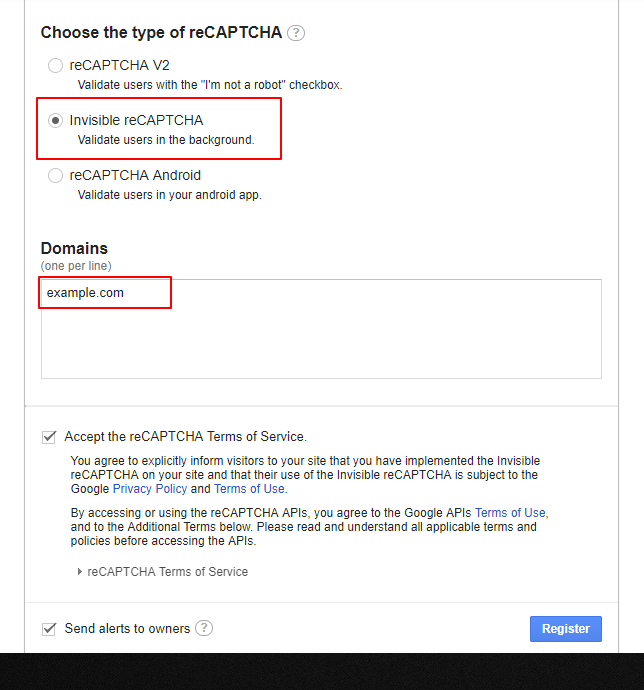 选择 Invisible reCAPTCHA ,填写 Domains 进行注册. © 2019 蛋蛋的忧伤. Using Typecho & Story.